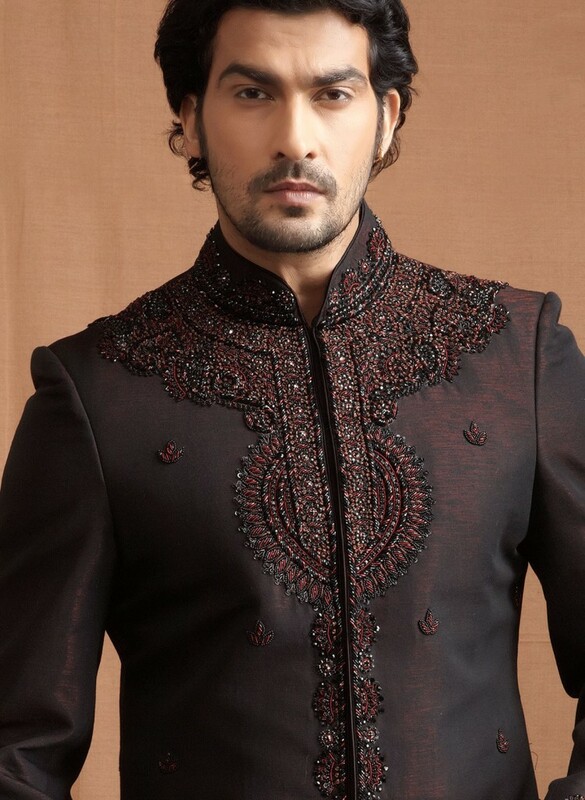 So what does a traditional Sherwani look like? 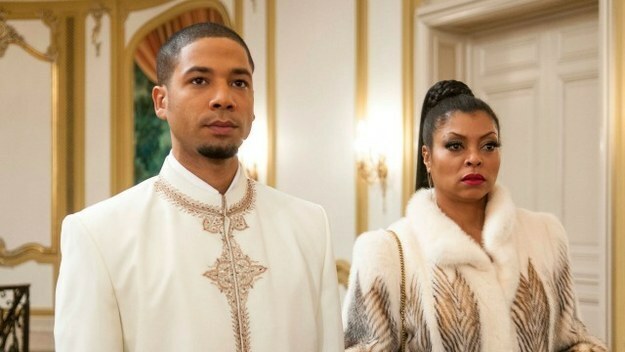 Let’s see it in traditional form and in a recent American interpretation from the hit show Empire. When I think of Asiatic Indian clothing, I think colorful, plentiful in fabric and intricate deigns. Their clothing and details always make me happy. I love saris that women usually wear with a small portion of midriff revealed. To amp up the cultural knowledge, I’ll share some random facts I’ve learned and opinions I’ve formed about Indian culture from when I was a student that was heavily involved in cultural experiences on my college campus. 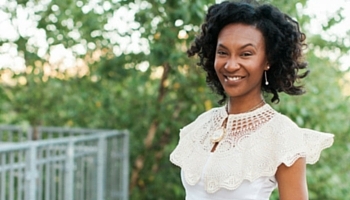 Caribbean culture has heavy Indian influences, and the islands are real melting pots, as there is a high percentage of people with Indian heritage on several islands. Diwali is a festival of lights celebrated by the Hindu, Sikh and Jain religions. The major theme of this 5 day festival (with the 3rd day serving as the main holiday) is the driving away of darkness by light, and goodness triumphing over evil. Fireworks are always plentiful during the celebration. 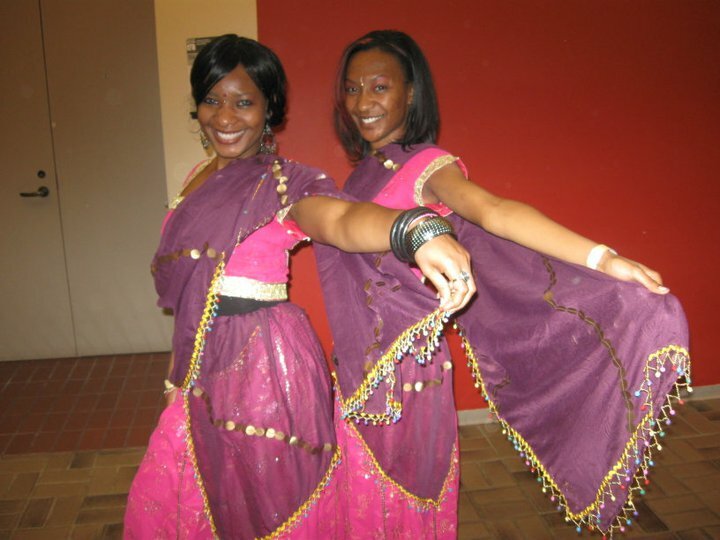 I had the opportunity to dance for a Diwali banquet with my Caribbean club some years ago, and it was one of my favorite routines to perform! The outfits were fun and festive, as well. Curry goat is amazing. If you ever have the chance to eat at an Indian restaurant, don’t be afraid to try the goat. It is my favorite! 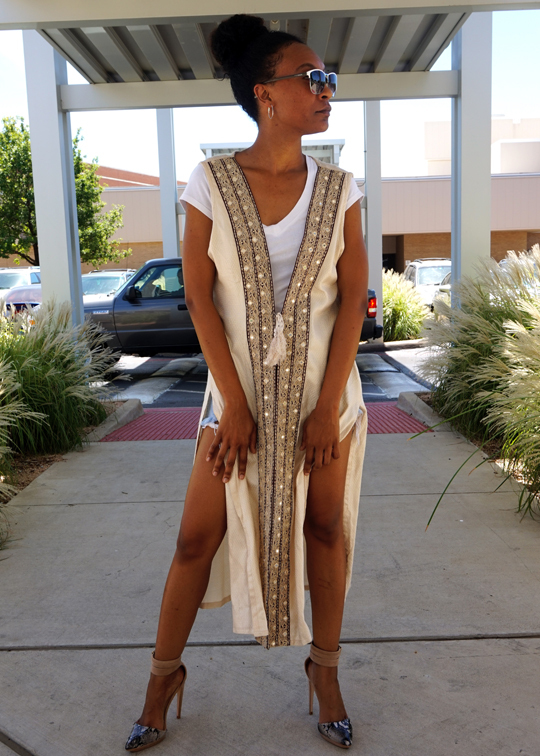 I wore this sherwani in a kimono style that is popular in American fashion right now. I wore a simple white t-shirt tucked into denim shorts (thrifted Wrangler pants, cut and distressed) along with my Steve Madden cream toned snake skin shoes. With this outfit, the relatively simple Sherwani stole the show because of its length and intricate design lining the opening. Are y’all loving this Cultural Style Appreciation series as much as I am? 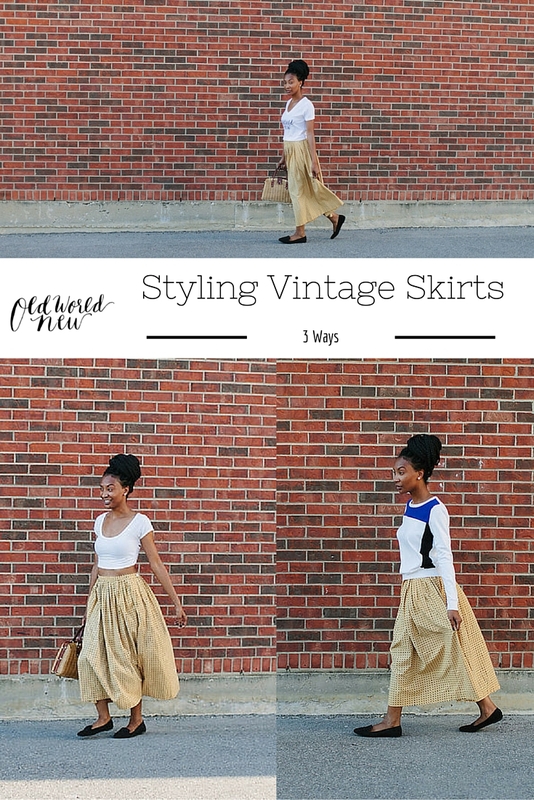 It is combining so many things I love – history, style, making old things new because most of the pieces are thrifted, and also because I’m showing you a new way you can style them. I feel blessed to be able to share it with y’all. Until the next installment, check out the previous (1 & 2) posts. Thank you, Adaleta! 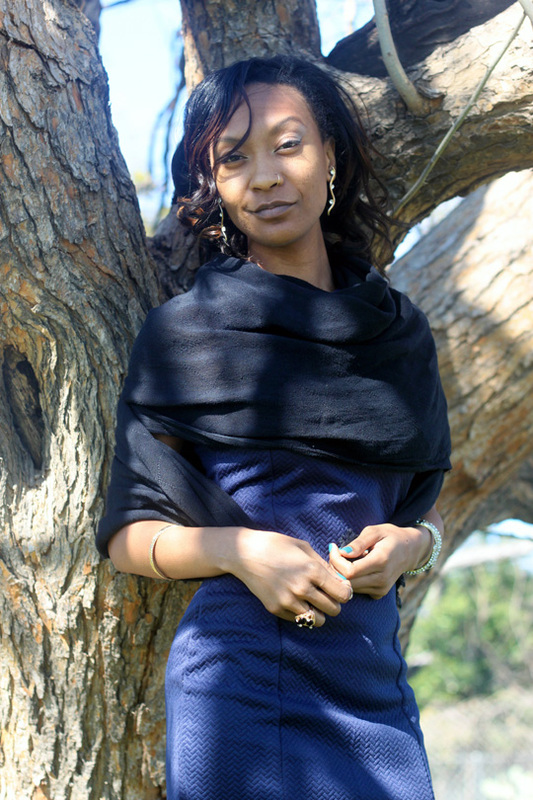 I hope it inspires you to get creative with your thrift fashion, too! You look amazing! 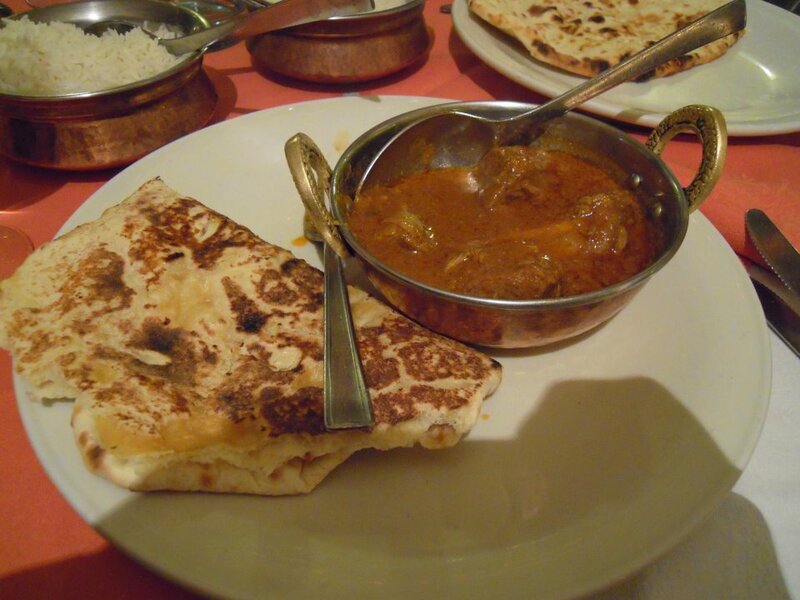 …and Indian cuisine is my absolute favorite! LOVE that top!! Great post. Omg amazing !!! Love it all especially that top and something I would so buy. Laci @ Sequins in the South. this piece is SO fun!! I love your empire reference. season 2 can’t come soon enough:) keep these cultural appreciate pieces coming! Lol, I’m so late in responding that the season premiere is actually tonight! Thank you, Lauren! Love this!! Your posts are always so interesting! Thanks for sharing! I absolutely love the cultural appreciation vs cultural appropriation comparison, what a great way to put it!! 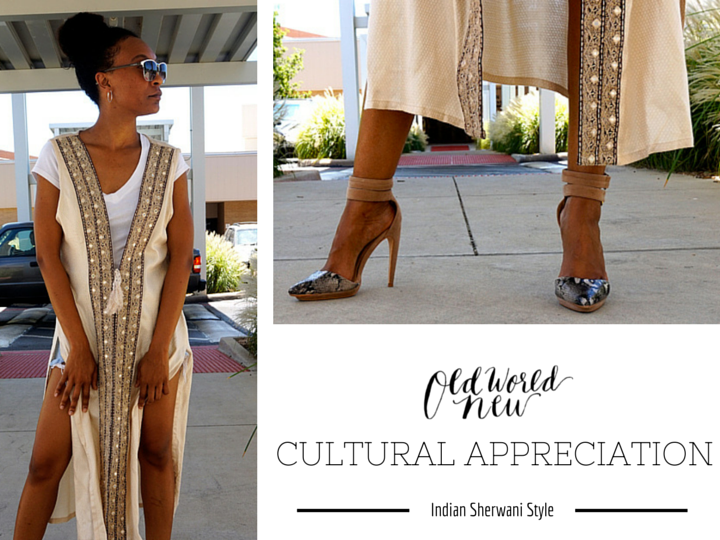 I LOVE LOVE LOVE the Sherwani kimono…excellent find!! What an interesting, beautiful post! Thank you, Carrie! I love that people are trying to better understand cultures now! 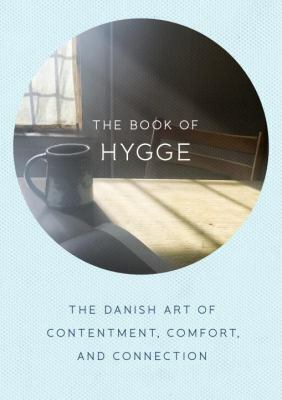 Yes – totally appreciating all of this and the style! These posts are so cool to learn about new things and see some fabulous outfits!! Looking amazing! You look amazing!! I love your take on Indian culture. This outfit is authentic, but innovative at the same time. That sherwani is gonna be super cute in the fall! Love!! I’m a sucker for anything indian (especially food). Such beautiful patterns! Thank you, Maggie! Their patterns and fabrics are great and the food is just amazing lol! You look amazing! I love that tank top! Love your take on it! i think it so fun to pull inspiration from different cultures. That is absolutely STUNNING. 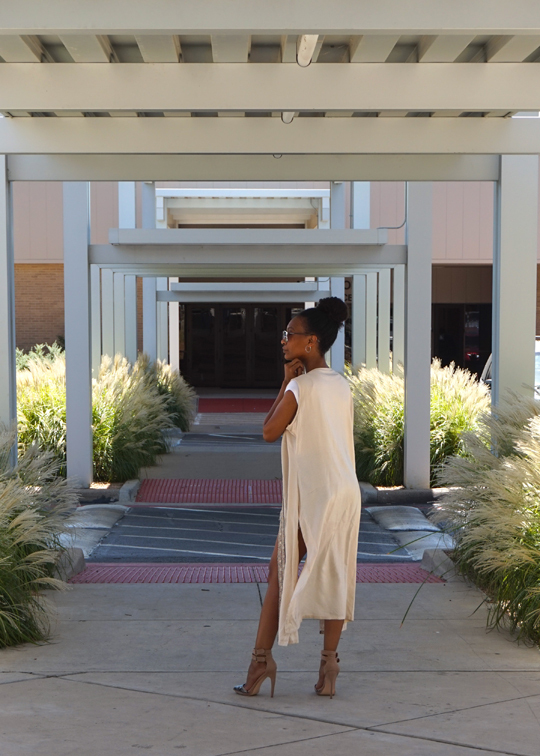 And I love these posts… there’s so much cultural influence in fashion we don’t even realize! I love the Sherwani! The detailing on it is gorgeous. I love how it elevates a simple outfit. I love this post! You always give us more than just fashion you give us meaning behind your posts! You look stunning and I’m dying over your heels!! Loving this cultural appreciation series and I adore your take on this style! This is such a fabulous series!! I love that long vest! Its PERFECTION!! I love this post and this series! 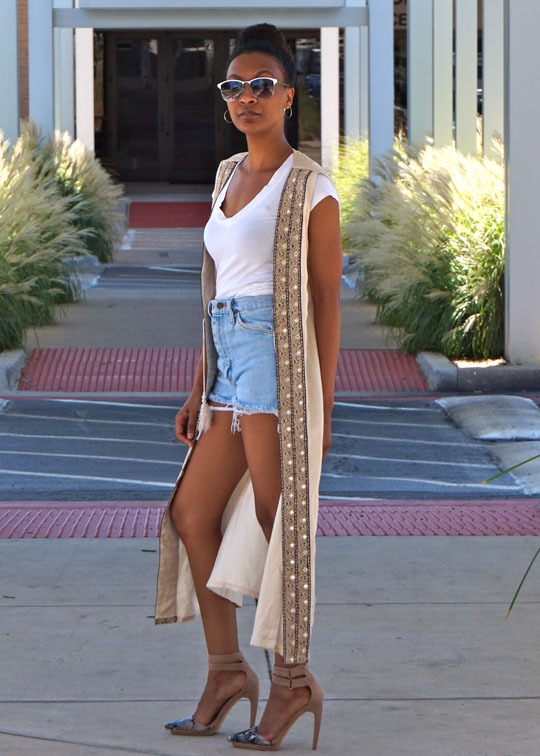 Not only do you incorporate other cultures in your outfit, but you share more about them too! This look came together so well. It’s simple but stands out at the same time. Thanks for sharing! How cool to learn more about different cultures that I didn’t know much about before! And you are gorgeous girl!! 1. YES I am loving this series so much! Never stop!!!! 2. I LOVE how you styled this. From head to toe, it’s a perfect look that’s super chic but doesn’t detract from your statement piece. Also those shorts fit you perfectly – I need to get on your thrifting level!